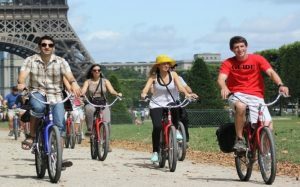 VIEW PARIS IN THE MOST FUN WAY POSSIBLE! ALL YEAR TOURS: See Paris in Any Season. ENJOY AMAZING VIEWS: Come Face to Face With Major Parisian Attractions. FAMILY FRIENDLY: See the Main Sites Without the Long Walking. AVOID LONG TICKET LINES: Let Cobblestone Make Your Booking. DURATION: See Many Amazing Sites During the FUN 4 Hour Tour! 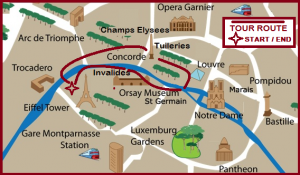 GREAT INTRODUCTION TO PARIS: Visit The Most Important Sites. STOP FOR LUNCH: Lunch At Beautiful Cafe In The Tuileries Gardens (not included). PROFESSIONAL GUIDE: Fun & Interesting Stories About Paris. BRING YOUR CAMERA: Fun Photo Opportunities!